Endoscopy shows widely scattered shallow ulcers in cases of herpes simplex esophagitis. 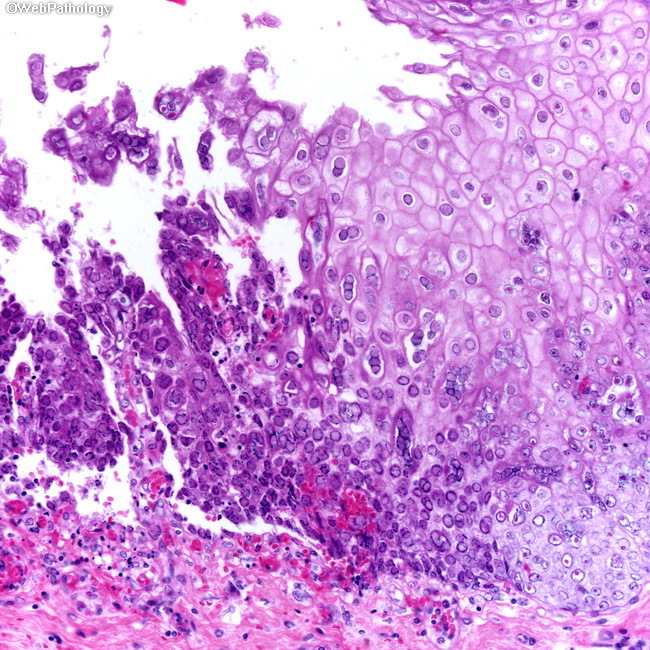 This image from the edge of an ulcer shows numerous multinucleated epithelial cells - another helpful diagnostic feature of this condition. Cowdry type A intranuclear inclusions are also present. They may not always be identifiable.